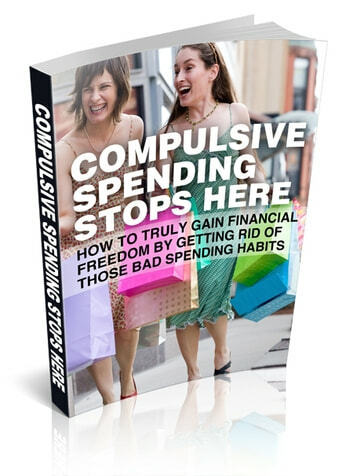 Learning About Stop Compulsive Spending Right Now Can Have Amazing Benefits For Your Life! Rescue your finances and develop self control! Dependency causes you to lose your equilibrium and reason. Below all addictions is a yearning for immediate gratification-to feel great, mighty, worthy of appreciation, and problem-free-and an insistence on discounting the long-range, self-destructive deductions of the behavior. If you endure a spending addiction, one out-of-control buying spree is never adequate. Local malls and Net shopping sites have a bewitching attractive appeal for you. You gift the most pricey, plushest presents. Your buys reflect how aware you are about all the most voguish brands and designer tags. When you eat out with acquaintances or business affiliates, you're invariably the one who takes a firm stand on picking up the tab-whether you are able to afford to, or not. Despite negative results that unavoidably overtake you-like guilt, debt, or feeling ashamed and tightlipped about your obsession to purchase things-you discover yourself on yet some other shopping splurge, charging or writing checks for stuff you don't truly need and might never even 5 use. You might lie about how much you've spent (to yourself and to those near to you), hide price labels and receipts, and do financial flips in an endeavor to juggle your finances and sustain monthly payment demands. Spending addiction is an effort to attempt to 'purchase' happiness-to feel looked up to, to feel recognized, to feel empowered, to push aside distressful feelings, like selfdistrust or self-disappointment-and may risk wrecking everything you treasure. 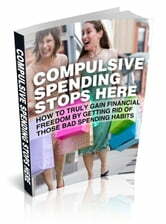 Stop Compulsive Spending Right Now! Rescue your finances and develop self control.